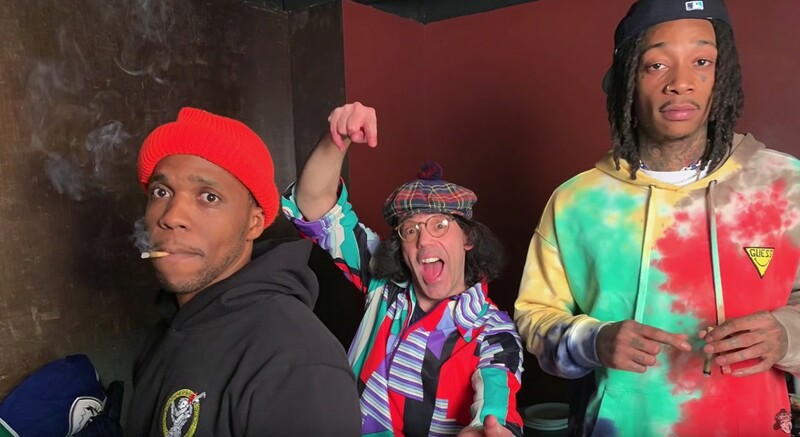 Curren$y and Wiz Khalifa are fresh off of the release of their well recived project 2009, so it’s only right when they stopped in Vancouver that took some time out to chat with the legend Nardwuar! You will find the two emcees getting asked about plenty of interesting topics such as Willie Hutch, Wiz working with LL’s own Cole Bennett, Master P, when they first met, their thoughts about each other, the tour they are currently on, the time that Curren$y fell asleep on Nardwuar, frozen cups, C-Murder & Gregory D and more. Check out this awesome new interview below!